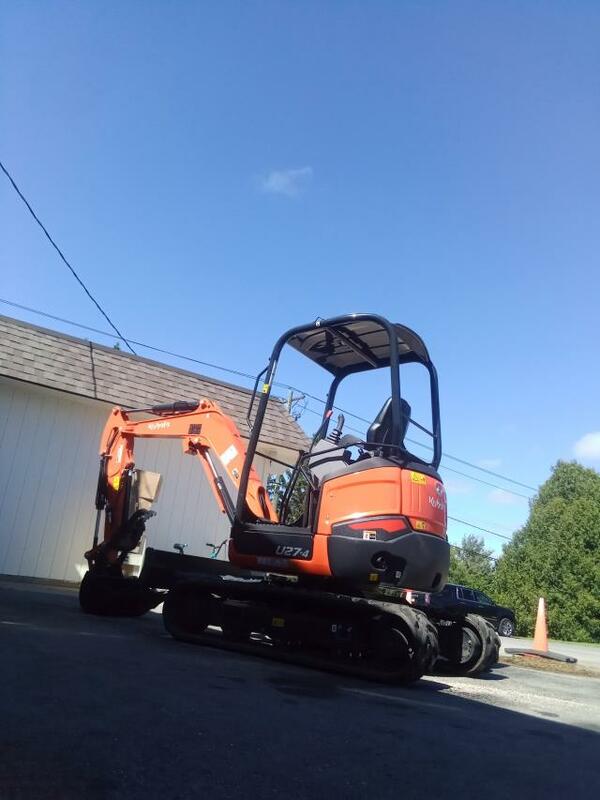 Digging Depth - 9' 5"
Vehicle Width - 4' 7"
Operating Weight - 6145 Lbs. Bucket Lift - 1810.3 Lbs. Note - Excavator also has a claw. 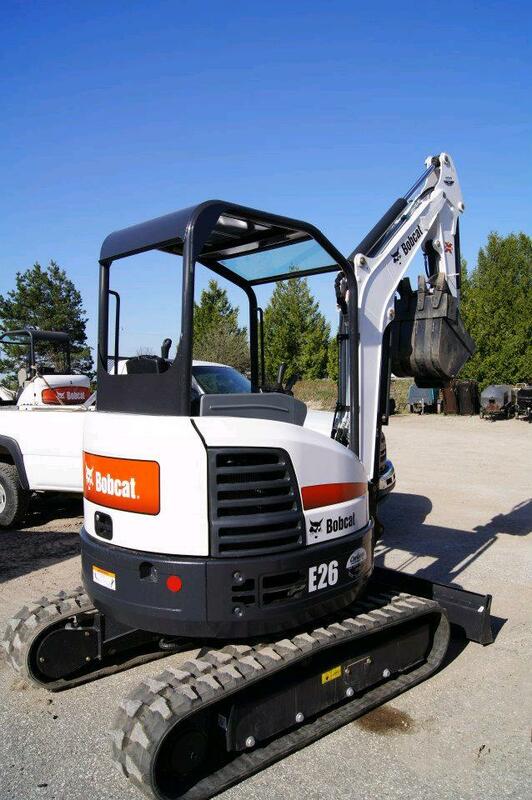 * Please call us with any questions you may have about our excavator mini rentals in Petoskey, Northern Michigan & The Upper Peninsula.